Completion of the First Non-Market Social Housing Building The highly anticipated first social housing building at Little Mountain saw its completion this August. 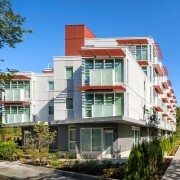 Holborn Properties, BC Housing and the City of Vancouver broke ground over a year ago to allow for the construction of the first building prior to rezoning approval. The proposal was for a five-storey building which will contain 53 one- and two-bedroom apartments for seniors. Former Little Mountain residents will have the first opportunity to move into the new homes. The proposal was presented at the Urban Design Panel in March 2013 and received nods from panelists and the wider community as being a good model for future social housing buildings. Since then, More Than a Roof, a non-profit organization who manages inclusive communities of affordable housing, was selected as operator of the building. With their value-added philosophy, they aim to build supportive communities where people can heal and create positive change. Occupancy is scheduled to take place in Fall 2014. 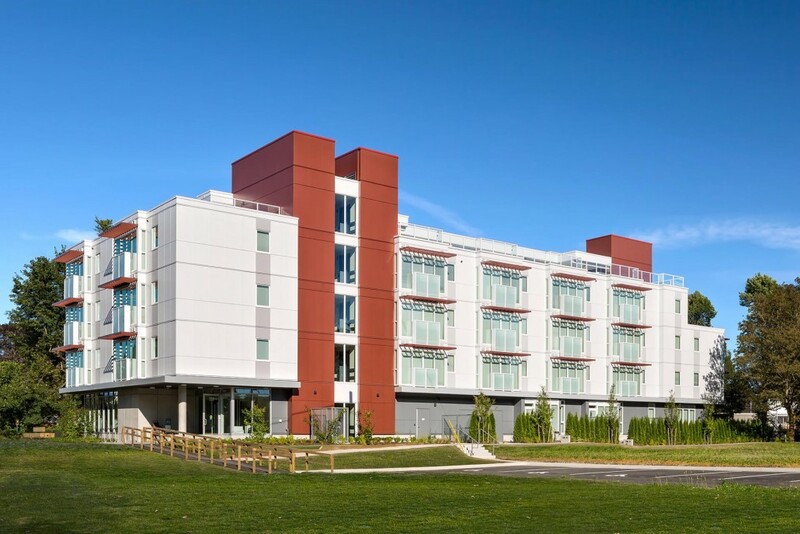 Here’s a first look at Phase 1 of Little Mountain social housing. With its north-south orientation, the development allows for visual and pedestrian permeability from 37th Street to the Community Plaza between the future buildings on both sides. The ground floor of the building facing north to the Community Plaza is distinguished by the main entrance with an amenity area that fronts onto the road through the Master Plan and focuses on the public space. 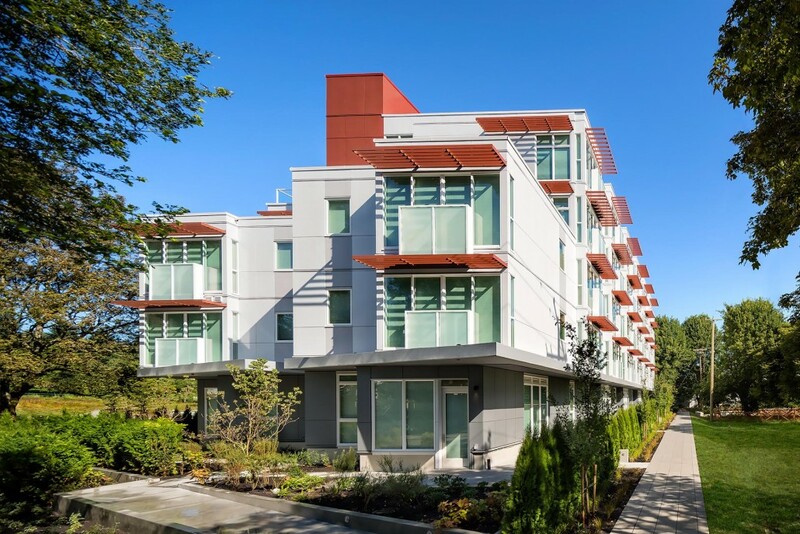 This amenity area and four 2 bedroom apartments also face a pedestrian route through the development to 37th Avenue. There are ground-floor apartments with landscaped gardens and patios and may be entered off the pedestrian route as well from the inside of the building. 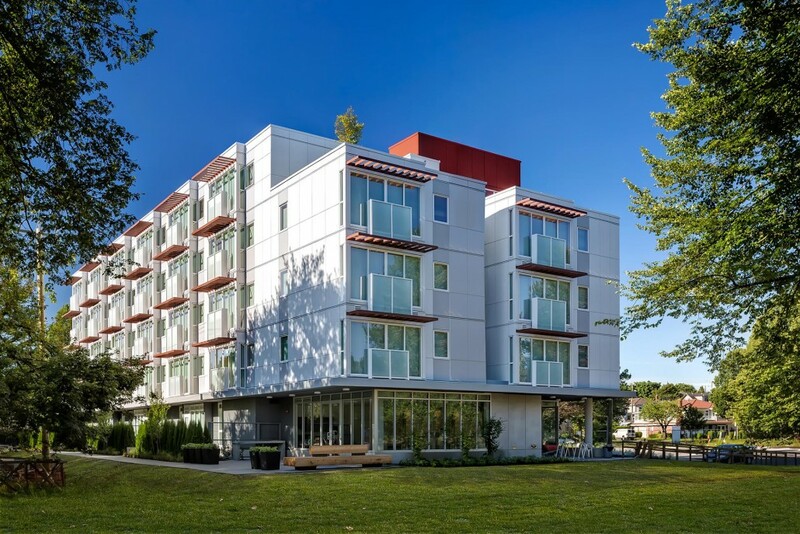 The development has a diversity of welcoming spaces for seniors to meet, from the ground floor amenity room to the 5th floor community gardens and west facing roof deck. The roof deck captures the sun and provides excellent views. 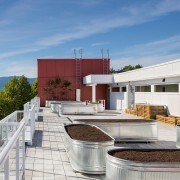 The roof deck includes a shared communal patio space and areas for gardening. 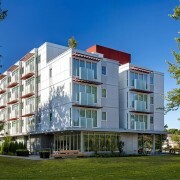 This gathering space for residents will encourage social interaction and recreational use. 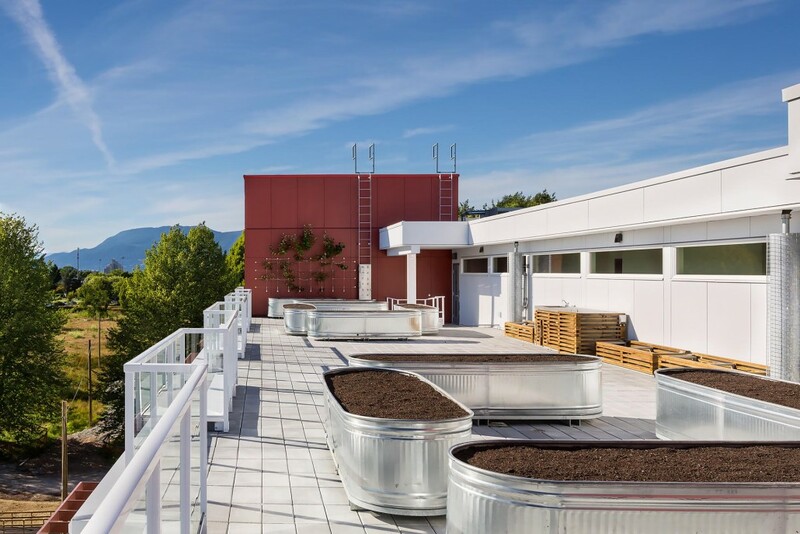 All upper level units have one foot deep juliette balconies suitable for plants in pots and have overhead sunscreens on the south facade and trellises on the other 3 facades. All service rooms are located on the ground at the north-west end of the building close to, but hidden from, the main square, with minimal glazing to provide visual privacy for ground floor residents of the future development to the west. 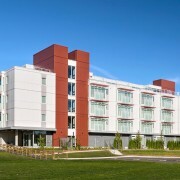 The building is built to BC Housing Standards and will achieve LEED Gold certification.